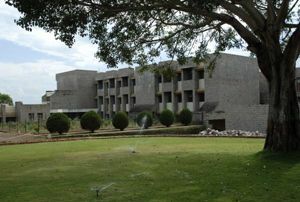 SDM College of Engineering & Technology, Dharwad , Karnataka totally managed by Sri. Dharmasthala Manjunatheshwara Educational Society, Ujire (D.K) Regd. under the leadership of Revered Dr. D. Veerendra Heggade, Dharmadhikari of Shrikshetra, Dharmasthala, as its President. Over the years, the society has created in excess of FIFTY different establishments and organisations devoted to service of mankind in several parts of Karnataka and continue to engage and grow in this nobel activity. 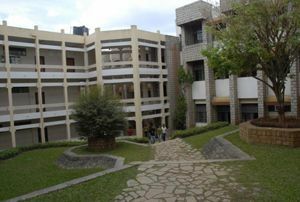 The College which was established in December 1979 with only 3 Under Graduate Programs [ i) Civi Engineering ii) Mechanical Engineering and Electrical & Electronics Engineering] has today 11 academic departments to its credit. The college has obtained accreditation by the National Board of Accreditation [NBA] New Delhi, for all its 7 B.E Programs operated today. The institution which has grown in stature to one of the nationally acclaimed premier institutions for technical education in India, has also been running four Post Graduate Programs [i)M. Tech. (Digital Electronics), ii)M.Tech. (Engineering Analysis & Design),iii) M.Tech. 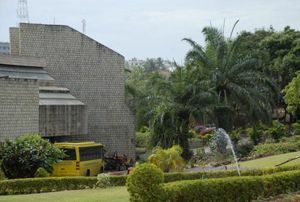 (Computer Aided Design of Structures) iv)Since four years, a QIP masters program in Computer Science and Engineering(sponsored by VTU,Belgaum) is also operated from the college.]. Very recently, the college has taken an attractive and inspiring ambience due to several college developmental work inclusive of modernization of its Main Administrative Block.